A straightforward, non-technical guide to the next major marketing tool Artificial Intelligence for Marketing presents a tightly-focused introduction to machine learning, written specifically for marketing professionals. This book will not teach you to be a data scientist but it does explain how Artificial Intelligence and Machine Learning will revolutionize your company's marketing strategy, and teach you how to use it most effectively. Data and analytics have become table stakes in modern marketing, but the field is ever-evolving with data scientists continually developing new algorithms where does that leave you? How can marketers use the latest data science developments to their advantage? This book walks you through the "need-to-know" aspects of Artificial Intelligence, including natural language processing, speech recognition, and the power of Machine Learning to show you how to make the most of this technology in a practical, tactical way. Simple illustrations clarify complex concepts, and case studies show how real-world companies are taking the next leap forward. 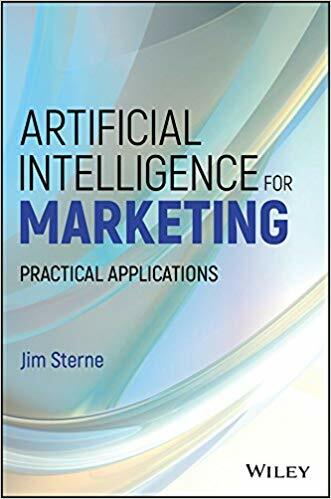 Straightforward, pragmatic, and with no math required, this book will help you: * Speak intelligently about Artificial Intelligence and its advantages in marketing * Understand how marketers without a Data Science degree can make use of machine learning technology * Collaborate with data scientists as a subject matter expert to help develop focused-use applications * Help your company gain a competitive advantage by leveraging leading-edge technology in marketing Marketing and data science are two fast-moving, turbulent spheres that often intersect; that intersection is where marketing professionals pick up the tools and methods to move their company forward. Artificial Intelligence and Machine Learning provide a data-driven basis for more robust and intensely-targeted marketing strategies and companies that effectively utilize these latest tools will reap the benefit in the marketplace. Artificial Intelligence for Marketing provides a nontechnical crash course to help you stay ahead of the curve.